Collections API – Java, SQL and jOOQ. The above piece of code will print any number from the Stream onto the console, but only if such a number exists. This makes Optional a bit difficult to use. We’ve already blogged about this topic before. Concretely, the absence of an Optional type in the API is no guarantee of non-nullability. This is particularly nasty if you convert Streams into collections and collections into streams. … and there is no other way to reason about use-site variance when we have Optional and subtly more complex API. If you add generic type erasure to the discussion, things get even worse. We no longer erase the component type of the above Collection, we also erase the type of virtually any reference. From a runtime / reflection perspective, this is almost like using Object all over the place! Generic type systems are incredibly complex even for simple use-cases. Optional makes things only worse. It is quite hard to blend Optional with traditional collections API or other APIs. Compared to the ease of use of Ceylon’s flow-sensitive typing, or even Groovy’s elvis operator, Optional is like a sledge-hammer in your face. 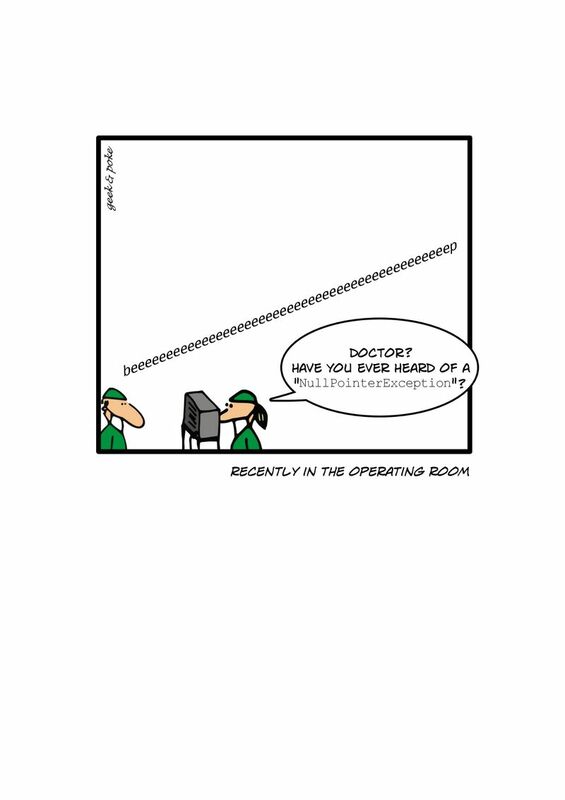 Be careful when you apply it to your API! One of the main reasons why Optional is still a very useful addition is the fact that the “object-stream” and the “primitive streams” have a “unified API” by the fact that we also have OptionalInt, OptionalLong, OptionalDouble types. That’s tough. And makes us wonder, if we should finally get rid of primitive types altogether. Making something in the JDK serializable makes a dramatic increase in our maintenance costs, because it means that the representation is frozen for all time. This constrains our ability to evolve implementations in the future, and the number of cases where we are unable to easily fix a bug or provide an enhancement, which would otherwise be simple, is enormous. So, while it may look like a simple matter of “implements Serializable” to you, it is more than that. The amount of effort consumed by working around an earlier choice to make something serializable is staggering. Stay tuned for more exciting Java 8 stuff published in this blog series. So we tend to think we’ve seen it all, when it comes to the Java Collections API. We know our ways around Lists, Sets, Maps, Iterables, Iterators. We’re ready for Java 8’s Collections API enhancements. The returned collection does not pass the hashCode and equals operations through to the backing collection, but relies on Object’s equals and hashCode methods. This is necessary to preserve the contracts of these operations in the case that the backing collection is a set or a list. An UnmodifiableList is an UnmodifiableCollection, but the same is not true in reverse — an UnmodifiableCollection that wraps a List is not an UnmodifiableList. So if you compare an UnmodifiableCollection that wraps a List a with an UnmodifiableList that wraps the same List a, the two wrappers should not be equal. If you just passed through to the wrapped list, they would be equal. While this reasoning is correct, the implications may be rather unexpected. // Don't rely on collection.equals() here!